Former Spokane County Sheriff’s Deputy Shawn Audie now works as a school resource officer for the Spokane School District. On New Year’s Eve 2017, Spokane County Sheriff’s Deputy Shawn Audie and another deputy stopped a man driving with a suspended license. Audie, according to an internal affairs investigation into the case, dragged the man from the driver’s seat as he was trying to get out and took him to the ground. The suspect would later tell investigators that Audie drove his knee into his back repeatedly, ground him into the icy driveway and choked him, though he had not resisted. Audie denied using excessive force. The sheriff’s department concluded that he had, and furthermore, that he made “false or misleading statements” to investigators. In all, the IA report determined that four complaints about Audie stemming from the incident were sustained. Audie retired from the sheriff’s department before that final determination was made Sept. 5, 2018, and thus escaped discipline. Sheriff Ozzie Knezovich has said Audie was going to be fired. That same month, Audie landed a job as a resource officer for Spokane Public Schools and was sent to work in the halls of Ferris High School – where he was recently caught on video kneeling on the neck of a student during a fight that had grown out of control. The district said that Audie’s actions on Jan. 24, 2019, did not violate district policy; he was responding to an altercation that led to the school being placed into lockdown. Three adults, including Audie, had medical referrals for injuries, district spokesman Brian Coddington said, and three students were arrested. But the images of Audie aggressively pinning the young man, who is black, to the ground and kneeling on his head and neck were incendiary. They also led to a host of legitimate questions about how and why the district had hired Audie, who has been the subject of three federal lawsuits over excessive force complaints that would have raised significant red flags in a simple Google search. The internal affairs report, released in response to a public records request, dramatically deepens the questions about Audie’s hiring and fitness for the job. Even if he was justified in that Ferris hallway, the school district compromised itself by hiring him. Prior to Audie’s hiring, he went through a panel interview and candidate ranking. As a finalist, he underwent a criminal background check and a phone call to his supervisor at the sheriff’s department, Coddington said. Audie got a “favorable” recommendation from his supervisor at the department, Coddington said. It would be interesting to know what was said during that call. Knezovich has been unequivocal about the district’s failures of due diligence, and said that Audie would have been sent packing had he not retired. Even without the damning IA report, these cases raise serious questions that seem to have gone unconsidered. Compounding that is the fact that the person who hired Audie was former Spokane County Sheriff Mark Sterk, a man one might reasonably expect to be good at background checks and up to speed on what’s happening in local law enforcement. 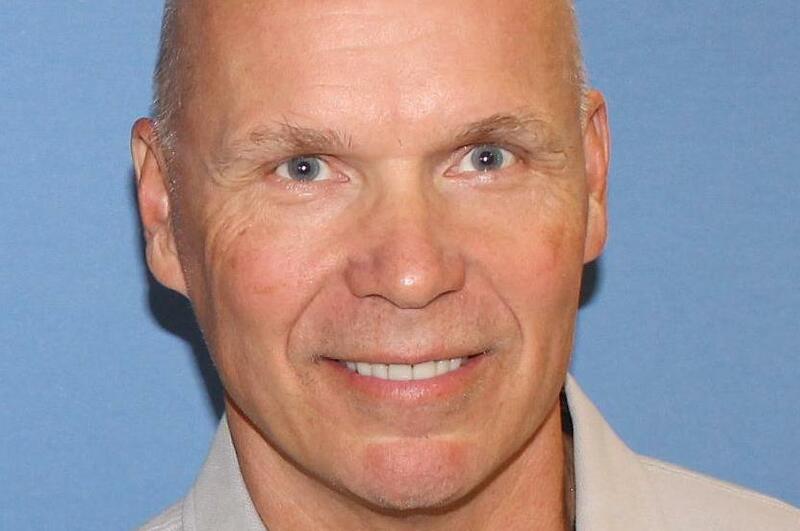 Sterk worked as the head of safety and security for the school district for about four years; he retired in November. The idea that Sterk, with three decades of experience and associations in local law enforcement, was unaware of high-profile lawsuits against a member of the agency he formerly ran is hard to swallow. The idea that he, or someone he oversaw, talked to Audie’s supervisor and the subject of the IA report never came up – either because he didn’t ask the right questions or because someone at the sheriff’s department was not forthcoming – is also hard to swallow. Sometimes, though, things that are hard to swallow are nevertheless true. In this case, my attempts to reach Sterk for comment were unsuccessful. Calls seeking comment from Audie, at a number believed to be his, were not returned. On Jan. 8, 2018, a resident of the Logan Neighborhood contacted the sheriff’s department to complain about something he’d seen through his window several days before: a deputy kicking a man who was on the ground in his driveway after an apparent stop. The report triggered an internal investigation into the actions of Audie and another deputy who was in training, Theodore Jacobson. They had stopped the car, driven by Stephen Nelson, because they suspected he was driving with a suspended license. Nelson did not pull over when signaled to do so, but drove to his home in the 1900 block of West Nora and stopped behind the residence, the report said. The deputies said Nelson had to be removed from the car by force. Nelson said he was grabbed by Audie as he was trying to get out of the car. He was taken to the ground, face-down, and Audie straddled him. After a struggle, the deputies said, they handcuffed him. While Audie had him on the ground, Nelson said, he repeatedly struck him in the back with his knee, and choked him with his hand. Audie would say his hand might have wound up at or near his neck during the struggle, but denied trying to choke him. Nelson did not mention a kick. Accounts around that specific allegation varied, though the IA investigator would conclude that Audie had made “false or misleading” statements in his attempt to explain away the allegation of kicking by saying it had happened while he was trying to disentangle a microphone cord that had become wrapped around Nelson’s leg. Nelson was arrested and taken to jail to be booked. Audie reportedly insulted him and called him names along the way. After one of Nelson’s neighbors complained to the department about what they had seen, Hines investigated the complaints and produced a 34-page report. It concluded that four of six complaints against Audie were sustained: discourteous or disrespectful treatment of the public; wrongful exercise of authority for malicious purpose, personal gain, willful deceit or other improper purpose; making false or misleading statements; and using excessive force. Coddington said Thursday that the district’s human resources office had not seen the IA report, but had requested it as part of its review. Audie is on leave while the district considers further information about his background, and Coddington said district officials are committed to ensuring that the hiring process is improved. Updated: Feb. 8, 2019, 9:59 a.m.